Ottawa County (pop. 263,801) is west of Kent County, along Lake Michigan. It’s one of four Ottawa counties in the U.S. The county seat of Ottawa County is the city of Grand Haven (pop. 10,412), located at the mouth of the 252-mile-long Grand River. Grand Haven is well-known for its musical fountain, second-largest in the world after the Bellagio Hotel fountain in Las Vegas. Grand Haven has a 10-day Coast Guard Festival every summer. 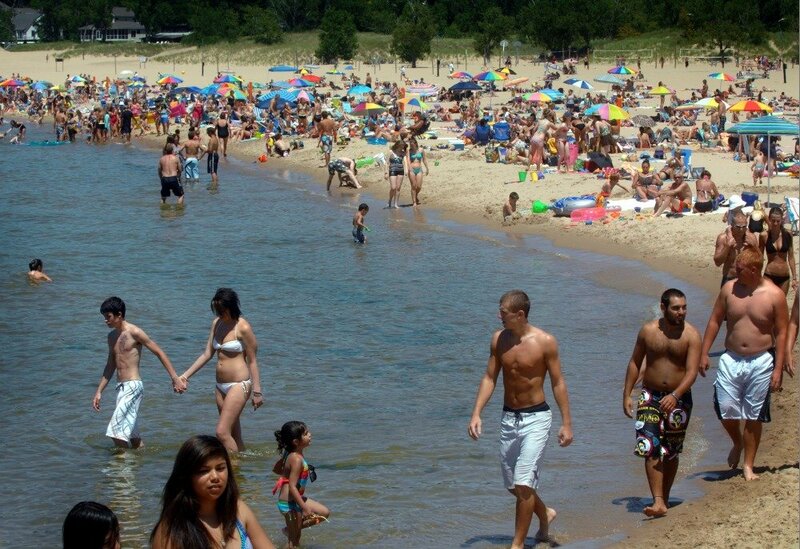 Grand Haven State Park has a popular beach along Lake Michigan. 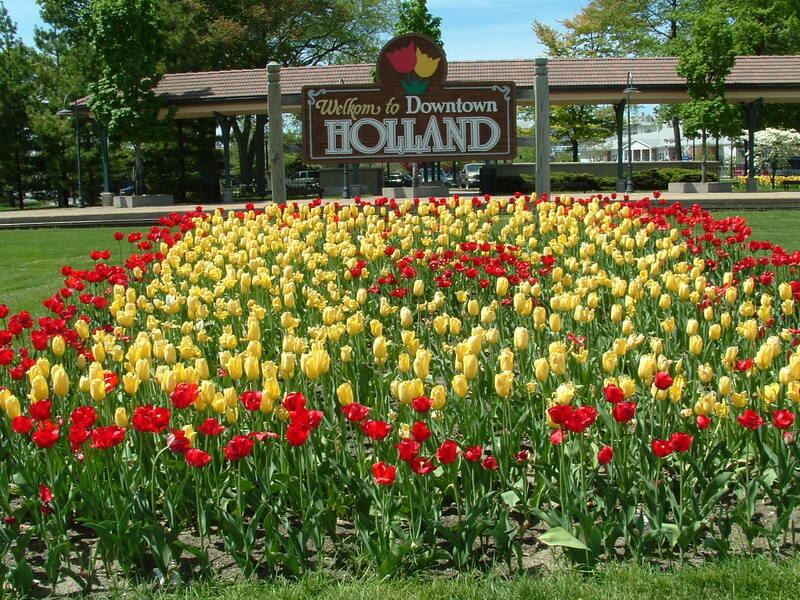 The largest city in Ottawa County is Holland (pop. 33,051), which has an annual Tulip Time Festival. Part of Holland is in Allegan County. 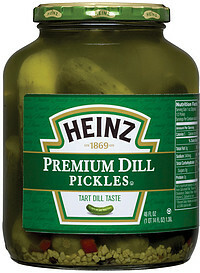 The Heinz pickle plant in Holland is reportedly the largest pickle plant in the world. 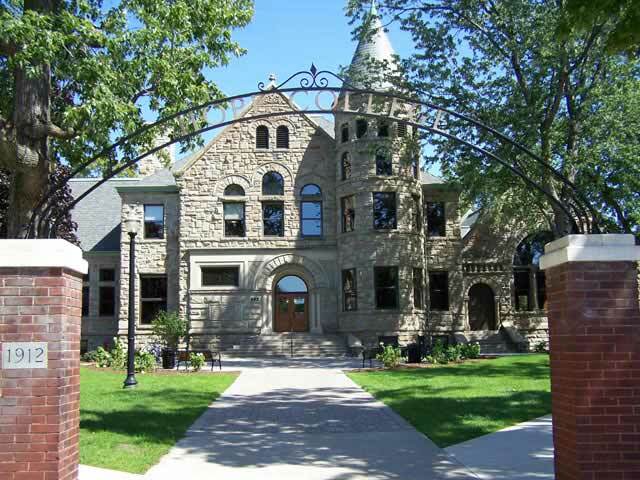 Hope College in Holland was established by Dutch immigrants in 1851. It has about 3,000 students. 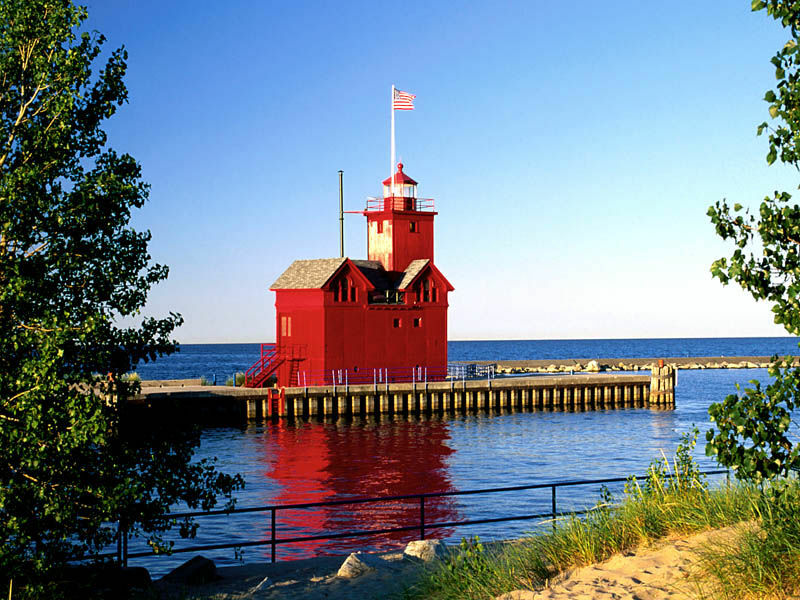 The Holland Harbor Light (“Big Red”) is on a channel connecting Lake Michigan with Lake Macatawa, west of Holland. Holland State Park is west of Holland, on both Lake Michigan and Lake Macatawa. It has more visitors than any other state park in Michigan. Allendale (pop. 17,579) is the home of Grand Valley State University, founded in 1960. It has about 24,000 students. The mascot is Louis the Laker. The unincorporated community of Nunica has a replica of Stonehenge, on private property. This entry was posted in Michigan and tagged Coast Guard Festival, Grand Haven, Grand Haven State Park, Grand Valley State University, Holland State Park, Hope College, Tulip Time Festival.